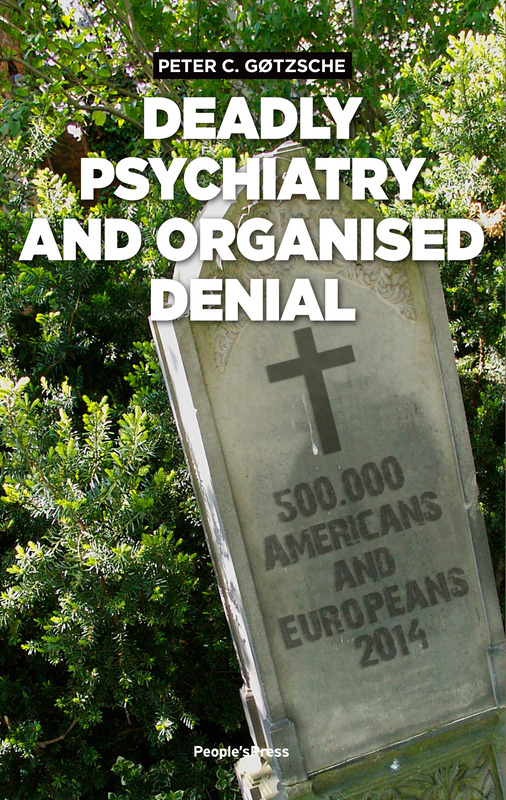 Deadly P sychiatry and Organised Denial explains in evidence-based detail why the way we currently use psychiatric drugs does far more harm than good. 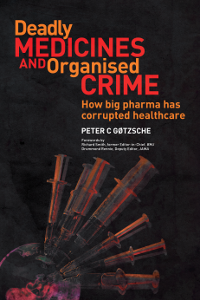 Professor, Doctor of Medical Science, Peter C. Gøtzsche documents that psychiatric drugs kill more than half a million people every year among those aged 65 and above in the United States and Europe. 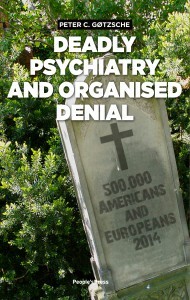 This makes psychiatric drugs the third leading cause of death, after heart disease and cancer. Gøtzsche explains that we could reduce our current usage of psychotropic drugs by 98% and at the same time improve patients’ mental and physical health and survival. It can be difficult, however, to come off the drugs, as many people become dependent on them. As the withdrawal symptoms can be severe, long-lasting and even dangerous, slow tapering is usually necessary. 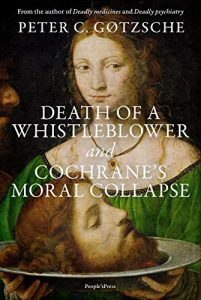 In his book, Gøtzsche debunks the many myths that leading psychiatrists – very often on drug industry payroll – have created and nurtured over decades in order to conceal the fact that biological psychiatry has generally been a failure. Biological psychiatry sees drugs as the “solution” for virtually all problems, in marked contrast to the patients’ views. Most patients don’t respond to the drugs they receive but, unfortunately, the psychiatrists’ frustrations over the lack of progress often lead to more diagnoses, more drugs and higher doses, harming the patients further. 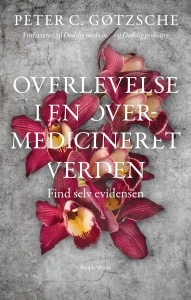 Read Chapter 1 here (English and Danish).